She thought for a moment and, taking her daddy by surprise, she said, “Actually… 15 is not a lot.” Then, to demonstrate what she meant, she proceeded to count out loud, “1, 2, 3…” to 15. I wondered where she had gotten that from, until Hubby filled me in on a conversation that he had had earlier with her. She had asked him why we must wash hands all the time. Daddy told her that it was because Adam and Eve had eaten the wrong fruit. You can easily see why she’s the star of this blog. It's time for another Make My Saturday Sweet (M.M.S.S.) blog hop! 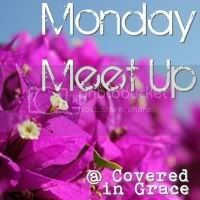 Join Tina (your host) and Tricia (your co-host) for this fun and easy hop. All family friendly blogs are welcome! Follow me (Tina) and Tricia on links 1 and 2. If you leave a comment and your URL, we'll be sure to follow back. Grab the button below and add it to your most recent post or on your side-bar. Follow at least three new blogs and tell them you found them through this hop. And, they should follow back! and she's wearing sticker earrings. 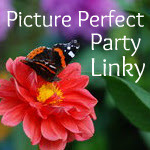 Here's your chance to link up your Wordless Wednesday (with or without words) or any picture post at the all new Picture Perfect Party Linky (P.P.P.L.)! Come and join me (Tina), your host, and Tricia, your co-host, every Wednesday and make new friends and find new followers at this fun blog hop! Follow Tina and Tricia on links 1 and 2. Please leave a comment with your blog URL so that we can follow back (as long as your blog is family friendly). 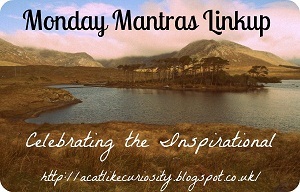 Link-up your post with a picture and follow as many new blogs as you like. Make sure you let them know that you’re following through this P.P.P.L. hop, tell them how you are following them and add your URL to the message so that, if they want to, they can follow back. Today I have 3 more images with inspirational quotes written by me. The photos were also taken by me earlier this year of flowers from my garden. If you enjoy my photography, then you might like to follow my hobby blog 1camera1mom. Many of my posts explain how to edit your photos for free. Below each of today's image, I've added a link to the original poem where this quote was inspired from. I also have a "Pin It" button on my right-hand side bar. I would be thrilled for you to pin any of these to your Pinterest board. If you enjoy my poetry, then please consider following my blog Consider the Lilies where I post a new poem about once a week. 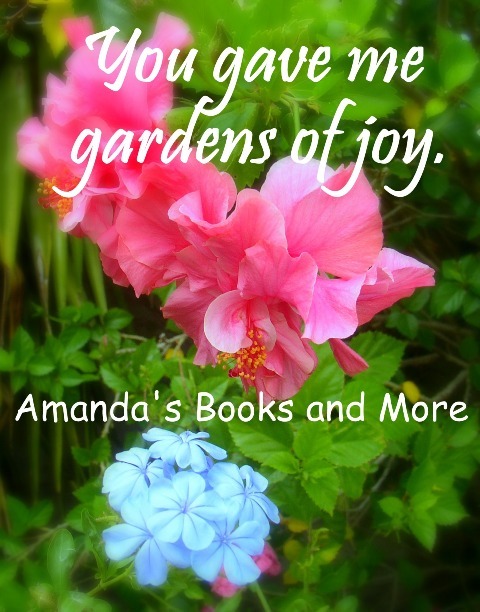 This quote was inspired by my poem "Gardens of Joy." This quote was inspired by my poem "Alpha and Omega." This quote was inspired by my poem "Starry Sky." Hubby was given a South African Heart Foundation cook book at the grocery store a couple of weeks ago. It’s a paperback called Cooking from the Heart. Yesterday, just before the kids got home from school, he noticed a scone (biscuit) recipe and decided to try it. Now, he has helped me in the kitchen before, but I never saw him wanting to bake on his own and we’ve been married for seventeen years. So, it came as quite a surprise to me when he decided that he wanted to try the recipe and pulled it off like a pro! I was showering and getting dressed when I reminded him from the bedroom to get the oven on. He replied that there were already scones baking in the oven. My thoughts were, “Wow! That was fast!” I took these pictures, so that I could show you how great they turned out. We ate them with a sprinkle of cinnamon, butter, apricot jam (jelly) and grated cheese. Hubby said the recipe was really easy. 1. Preheat oven to 180 C (356 F). Lightly grease a baking tray and dust with a little cake flour. 2. Mix flours and baking powder in a mixing bowl. Beat egg, yoghurt (yogurt) and oil together. 4. Gently press dough out onto a lightly floured surface to about 2 cm (about 1 inch) thick. Take care not to handle the dough too much. 5. Cut out scones using a small cookie cutter or water glass. (Hubby went slightly larger and he doubled the recipe too.) Dip the cutter or glass in extra flour if necessary. 6. Place scones on baking tray. The left-over dough can be pressed together and cut into more scones. 7. Bake for 15-20 min. or until golden brown and cooked. 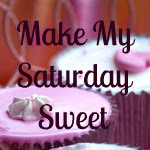 Welcome all of you wonderful bloggers to Tina and Tricia's blog hop, Make My Saturday Sweet (M.M.S.S.)! I hope that here we will all make new friends and find new followers and have fun doing it! Follow me (Tina), your host and Tricia, your co-host (links 1 and 2). If you leave a comment and your URL, we'll be sure to follow back as long as you have a family friendly blog. Follow at least three new blogs and tell them you found them through this hop. Hopefully, they will follow back! This is a picture of snow capped mountains and pink blossoms on plumb trees. I took it with my little camera while we were driving back from our outing to the Calabash restaurant. We are having spring here while those in the northern hemisphere have autumn. When I was young, books were not a big part of my life, perhaps because I first learned to read in German. I only learned to read in my first language of English when I was in 4th grade, but only very poorly. In 5th grade the spelling of English words began to make sense. By the time I was in 6th grade, I loved reading. My kids have grown up with books. They all love to read. I consider myself very fortunate that they do. Amanda isn’t old enough to read, but she has a small library of children’s books passed on from me and her siblings. 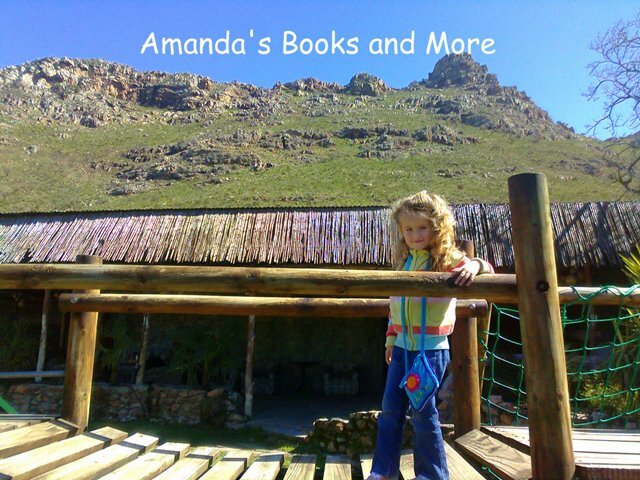 Often, when I pick Amanda up from school (she’s in a playgroup), she will be sitting in the book section looking at a book. It’s really cute. 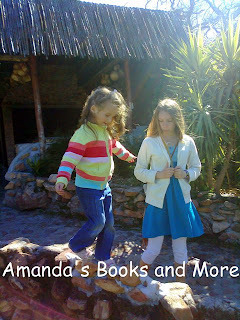 I thought it would be fun to share about an old book, Walt Disney’s Giant Book of Fairy Tales, from my childhood and a new book, Disney Nursery Rhymes & Fairy Tales, from Amanda’s 4th birthday. My book is roughly 31 years old. Amanda got her book this year. There are 188 pages with 39 stories in my book beginning with Pinocchio and ending with Snow-White and Rose-Red. These stories are very entertaining and intriguing for children who are old enough to read. I’ve enjoyed them and my two older daughters have too. It’s the larger book of the two with more advanced stories, which makes it more suitable for older children. Amanda’s book has 303 pages with 14 stories and many nursery rhymes. It’s a big book, but not too big for my 4-year-old. She is able to carry it around and turn its pages without needing help. The Table of Contents is brilliant, because it includes thumbnail pictures next to the titles to help little ones identify which story they would like to have read to them. Amanda uses this system regularly when choosing a story. The stories are short enough and easy to follow. She also loves nursery rhymes, so that has been a great addition to this book. The Disney Nursery Rhymes & Fairy Tales is a wonderful gift for young children and it even comes with 200 stickers inside. 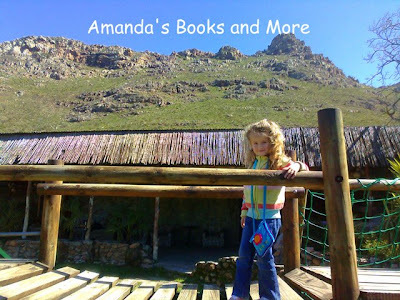 I'm linking with the Kid Lit Blog Hop on Mother Daughter Book Reviews. 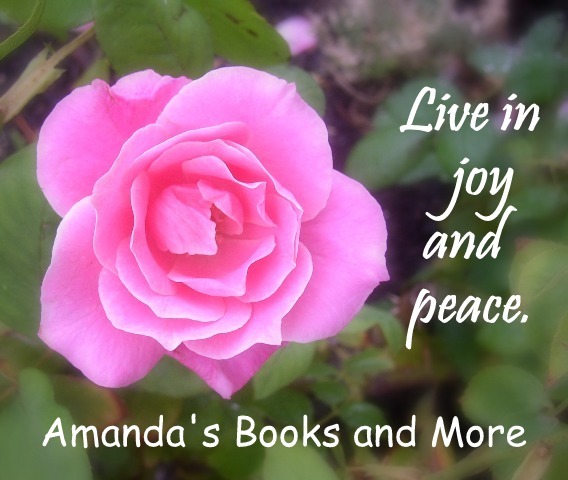 I’m being featured today on Create With Joy from my last week’s inspirational post on the topic of “Living Your Dream.” Today I have 3 more images with inspirational quotes written by me. The photos are also from me and they are of my kids. Below each image, I've added a link to the original post that I wrote. I also have a "Pin It" button on my right-hand side bar. I would be thrilled for you to pin any of these to your Pinterest board. 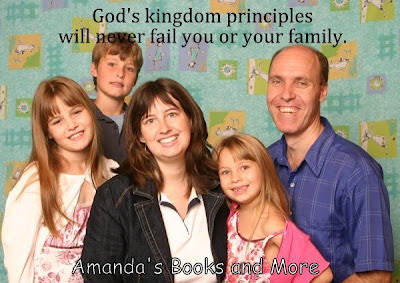 To learn more about God's kingdom principles, read Working Moms - Part 2. To learn more about our kids as individuals and as a family unit, read Family Outings. To learn more about preparing your kids to face the world, read my poem Our Children. Amanda and I love going on outings. Recently, the weather was really nice and so we decided to try a nearby pizza place that I had heard of more than a year ago. I didn’t even know the restaurant’s name, only that we had to turn left at a T-junction and it was just a little bit further on. Thankfully we saw the sign, because it was really weather-beaten and easy to miss. The sign said, "Calabash." Once we looked around, it was easy to see how the restaurant got its name, because there were bunches of calabashes hanging from the outside beams. 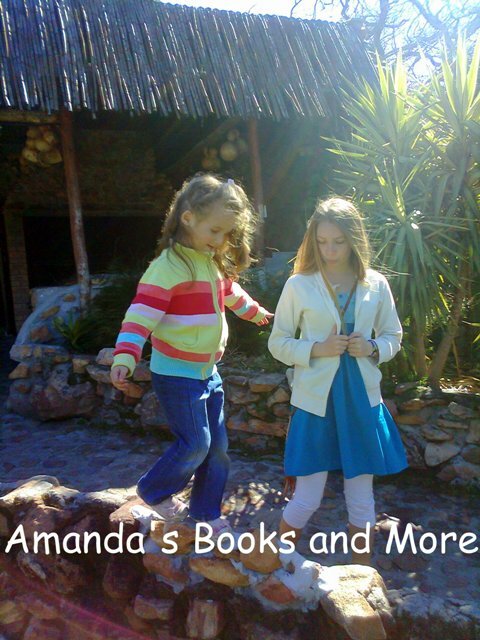 This photo is of Amanda with her sister, Samantha. You can see some of the calabashes too. Hubby took this photo. 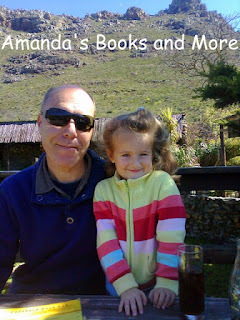 Here's Amanda with her dad. Look how close we were to this mountain. The views on either side were breathtaking! The highest mountain behind me still had some snow on it. Something else I knew about the place before we got there was that you eat outside. While we were there, a number of bikers also arrived. It was obviously a well-liked place for people who enjoy the outdoors. I think our pictures speak for themselves. I've been having trouble with my linky! 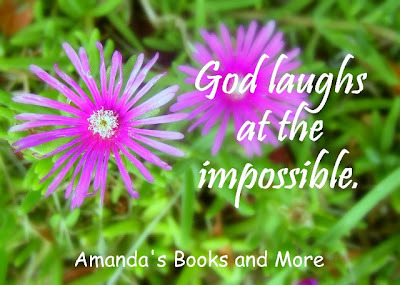 If it doesn't work from my blog, then hop on over to Today with the Tennerys and link up there. I don't want anyone to miss out! 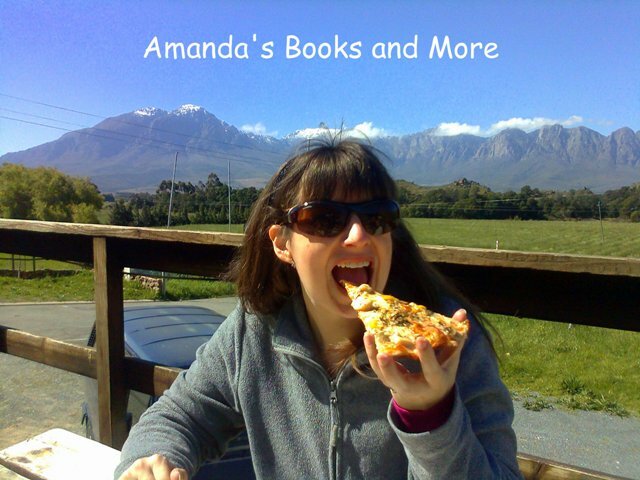 Last Saturday, I shared about Amanda's day of first time experiences. I posted three pictures and this one of her playing chess was an extra one and didn't make it into that post. I thought it was really cute, so I'm sharing it with you today for my (not-so) Wordless Wednesday. I also created my new header today for Amanda's Books and More. I thought it turned out really nice. Now, on to the blog hop! Grab the button above and add it on your post or on your side-bar, so that we can spread the word and get more people to the party. Here are 3 images with inspirational quotes written by me. The photos are also from me and they are of my kids. Below each image, I've added a link to the original post that I wrote. I also have a "Pin It" button on my right-hand side bar. I would be thrilled for you to pin any of these to your Pinterest board. I hope you will be inspired to continue pursuing your dreams and to encourage others to pursue theirs. This is Amanda when she was a baby. go to Discovering Your Potential - Part 1. This photo is of Jessica, Samantha and Jeremiah when they were young. go to Discovering Your Potential - Part 2. This is Samantha and Jessica when they were young.